When and where do the next CODART congress and CODARTfocus meeting take place? Where can I find information on the upcoming congress and/or CODARTfocus meeting ? Who can take part in CODART congresses? Full and associate members of CODART. When congresses are fully booked, full members are given priority. For curators who are still in training, there is a limited number of places available and also CODART patrons can register. Participation in certain congress events, such as the visit to a private collection, may have to be limited. Who can take part in CODARTfocus meetings? Full and associate members of CODART. Depending on the subject of the meeting, other specialists or CODART patrons might also be welcome. How can I as a member or patron register for the upcoming congress and/or CODARTfocus meeting? Registration for CODART Events starts approximately five months in advance, when an easy registration form is posted on this website. See CODART events. Members, associate members and patrons will be notified of this by e-mail. How can I pay the fee for the upcoming congress and/or CODARTfocus meeting? Where can I find the reports and texts of lectures of the past congresses, study trips and CODARTfocus meetings? Who organizes CODART congresses and CODARTfocus meetings? The CODART director and CODART bureau organize these events. They are advised by a program committee consisting of CODART members and supported by a committee of local curators in the area where the event takes place. CODARTfocus meetings are organized in a certain museum, city or region by“local” CODART members. What happens at the congresses? Theme session: papers on the subject that forms the main theme of the congress. Plenary debate on the congress theme with the participation of an international panel of museum curators and other specialists. Speakers’ Corner, where CODART members are given the congress floor for seven minutes, during which time they can put questions to their fellow curators or appeal to them for help with a project or research question. 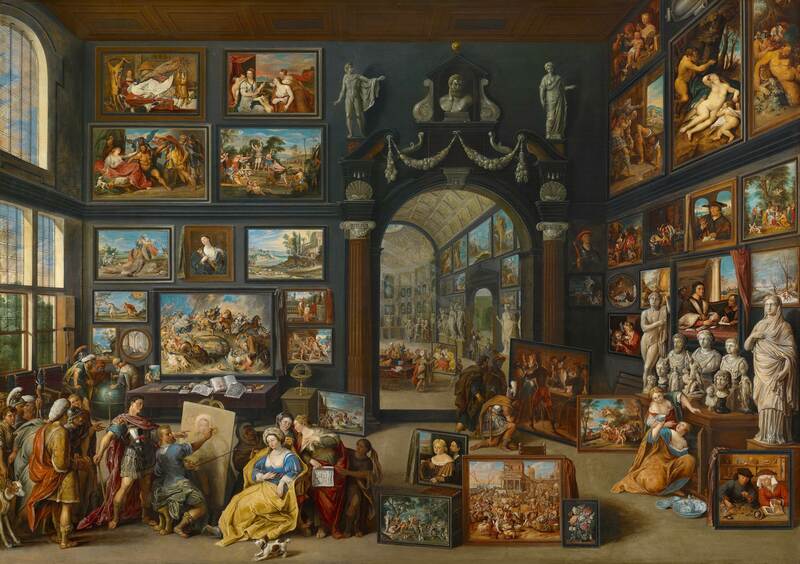 Visits to museum collections or exhibitions, some of which are organized specifically for CODART. Visits behind the scenes to museum restoration studios and storages. Receptions, a congress dinner and other opportunities for informal contact. For the complete programs of upcoming and previous congresses, see CODART events. What happens during CODARTfocus meetings? CODARTfocus meeting are carefully prepared expert meetings, organized on the initiative of a museum with a significant collection of Dutch and Flemish art. These meetings are organized in the context of exhibitions or research projects. They offer the hosting curators the opportunity to pose their latest research- and other questions to a select group of specialized colleagues. Hosting curators are also allowed to prepare cases and ask for help or opinions regarding questions of attribution, restoration, etc. The CODARTfocus meetings thus offer the opportunity of establishing scholarly and professional contacts that can be of great value. For the complete programs of upcoming and previous focus meetings, see CODART events. How are CODART congresses funded? The Dutch Ministry of Education, Culture and Science (OCW) takes care of the personnel costs, and the RKD makes office space available to us. This covers about 60% of the total cost of a congress. Every year we do our best to find additional funding, with increasing success. Now 10-15% of the congress budget is covered by sponsors (sometimes also including the host museum) and the Friends of CODART Foundation. The rest, some 25-30%, is covered by the congress fee, which in 2016 was 375 euros. This is used to pay for such things as renting the venue, technical services, dinners, lunches, receptions, the congress handout, translation costs, speakers’ fees, excursions, and some of the organizational costs. Members from less well-off countries may apply for a grant. These are not covered by the congress fees, but by external funds such as the Prince Bernhard Cultural Fund and the Wilhelmina E. Jansen Fund, among others. A detailed congress budget is available on request from info@codart.nl.